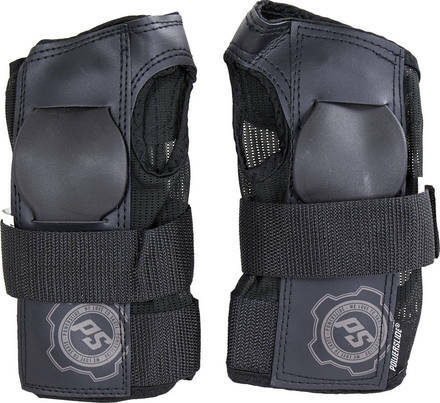 Die Powerslide Standard Wristguards kommen mit Pads an der Ober- und Unterseite. Durch die Verwendung von Mesh-Material wird eine gute Ventilation ermöglicht. Der mittlere Velcro-Stap ist mit einem reflektierendem Logo versehen worden. Auf der unteren Seite befindet sich ein aufgedrucktes Powerslide-Logo. Cheap, solid, does everything its meant to. First ones lasted for year, second ones for a week. One good dive on a cheesegrater-like Nordic asphalt and they are done. 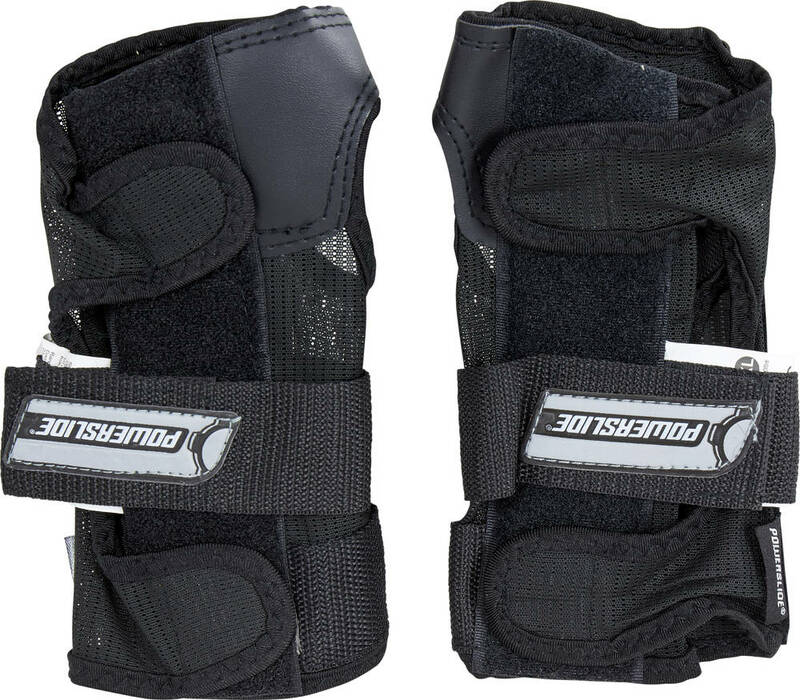 Avoiding that you have really well-fitting wristguards that last for a reasonable amount of time. Note: After a while in daily use they start to smell like guerrilla's underwear and some need for sewing/taping might appear. These wrist guards are made to a high standard, and offer fantastic value. 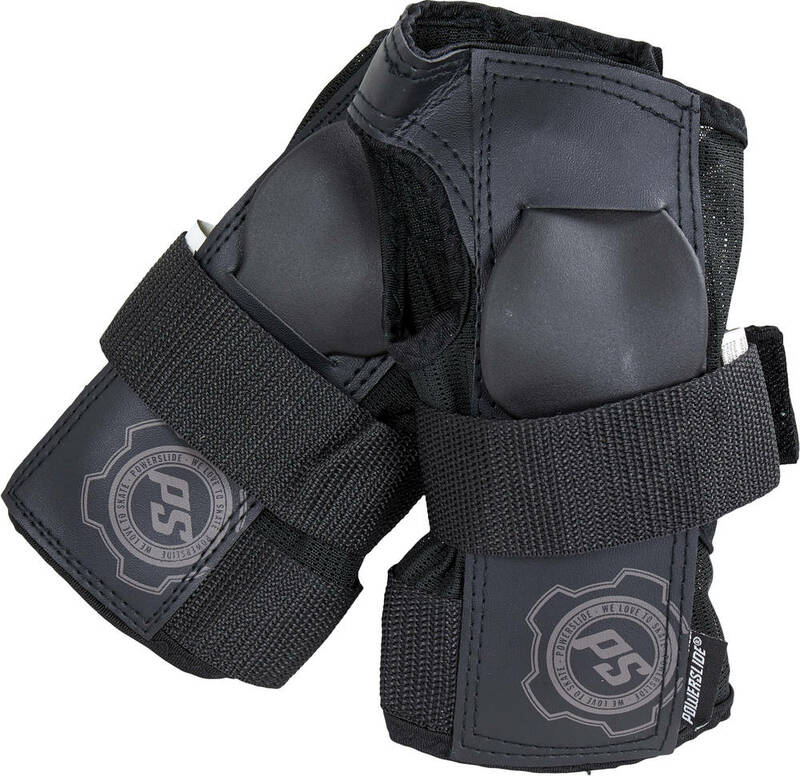 They fit well, being ergonomically designed and the velcra straps do a great job of keeping them secure. The plastic palm pad feels robust and rugged and it should keep me pain free should I take a spill! They come in a nice mesh bag for storage and is compact enough to carry around easily. Highly recommended. They were a part of a larger more complex order and skate pro was amazing once again in delivering a first rate service with fast delivery. A special mention for Laura who is a real angel and who is a genuine asset to the business with her attentive and exceptional customer service. She deserves a medal! !